Monique Freeman Rauls currently serves as judge of Division “A” and presides over the civil docket. She is a graduate from Peabody Magnet High School. She received a Bachelor of Arts degree from Northeast Louisiana University in 1990 (currently University of Louisiana at Monroe) and a Juris Doctorate from Mississippi College School of Law in 1993. 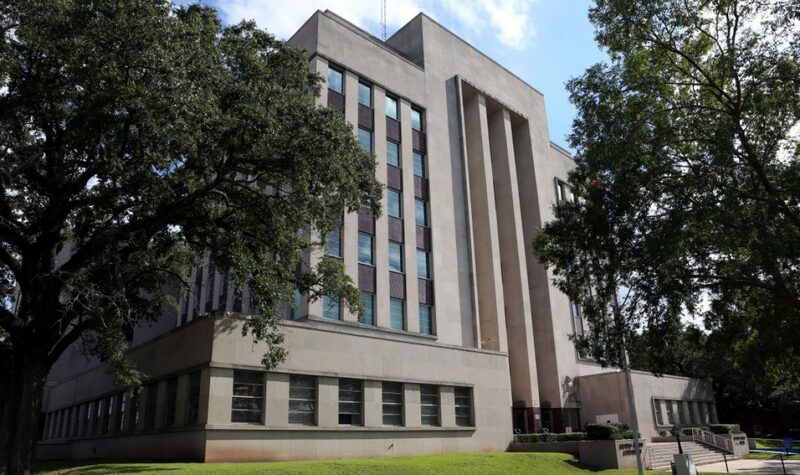 Before being elected to the District Court Bench, Judge Rauls worked in the public sector for many years in Rapides Parish. She served as the hearing officer for the Ninth Judicial Court for ten years. In the capacity of hearing officer, she presided over child support, domestic violence, paternity and juvenile traffic cases. She also worked as a staff attorney with the State of Louisiana Department of Social Services and the Louisiana Attorney General’s Office litigation division, handling various civil litigation matters. Prior to serving in the public sector, Judge Rauls was the first African-American attorney employed by Provosty, Sadler, & Delaunay law firm, where she practiced insurance defense litigation. Judge Rauls is very active in both legal and civic organizations of Rapides Parish. She has served on several boards and held various leadership positions. She is the immediate past president of the Alexandria Bar Association. Also, she has served on the boards of the local YWCA, Family Counseling Agency, Rapides Council on Aging, and the Rapides Parish Indigent Defender boards. In addition to her board service, she is an active member of various organizations including the Louisiana District Judges Association, National Council of Juvenile and Family Court Judges, Louisiana Bar Association, Louis A. Martinet Legal Society, Lions Club, and Rotary Club. Furthermore, she has been affiliated with the Crossroads American Inn of Court, Central Louisiana Children’s Cabinet, Domestic Violence Task Force, Central Community Partnership Panel of the Louisiana Bar Association, Louisiana Child Support Enforcement Association, National Child Support Enforcement Association, Hearing Officer Association and the Junior League of Alexandria, where she devoted hours of service working at New to You thrift store, the Hope House, and the Turning Point Women’s Shelter. Judge Rauls is a life-long resident of Rapides Parish and is the proud mother of 3 sons: Payden, Ashton and Carson.